Wow! What a gorgeous trio I have to show you. 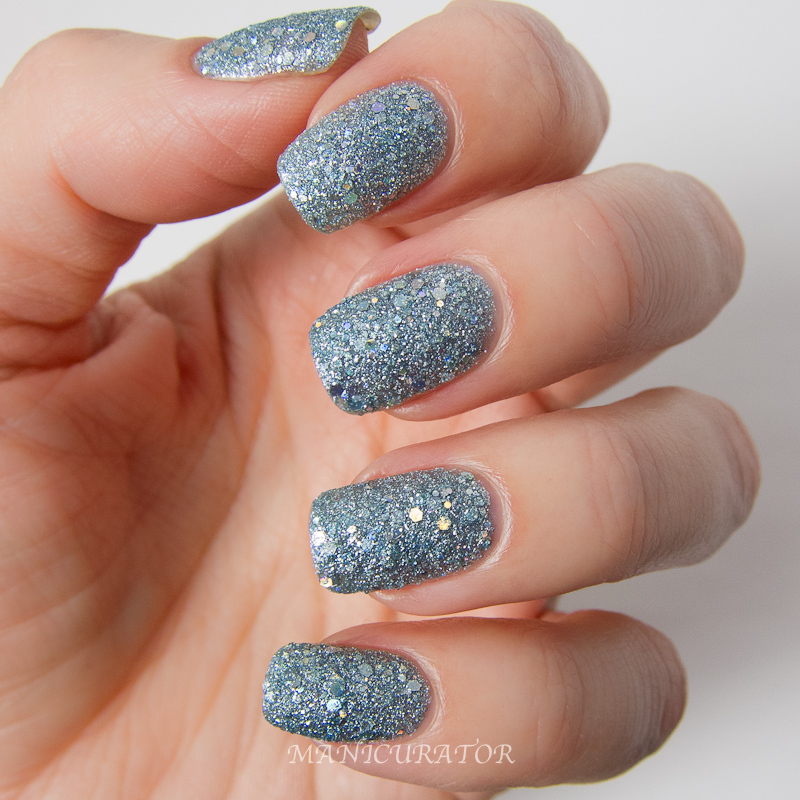 The brand new Pixiedusts from Zoya are called magical, well, because they are :) OK, fair warning: This post is picture heavy! Let's dig in! 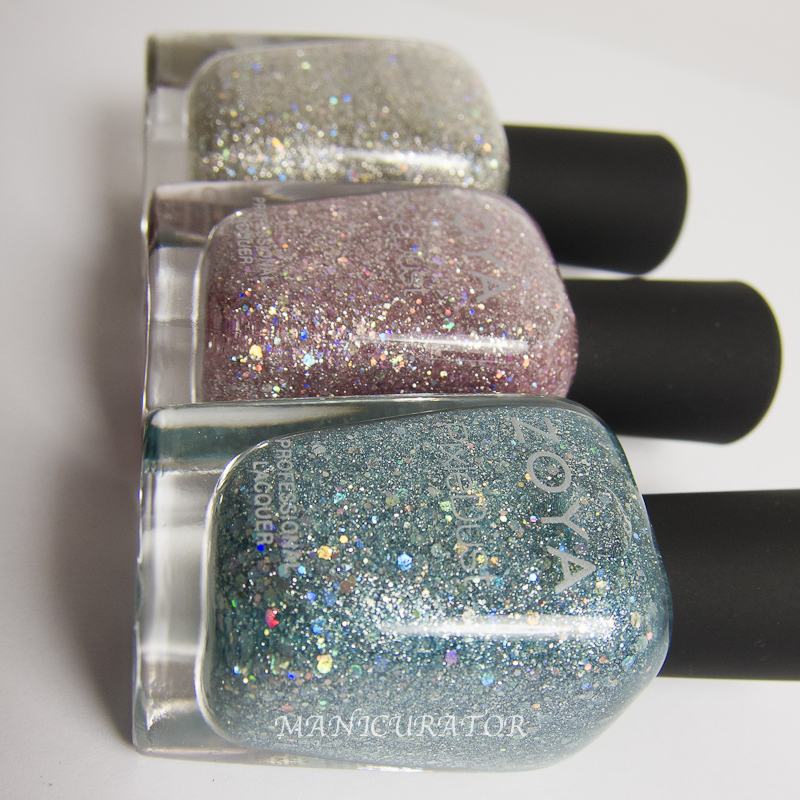 All three of these shades are colors that speak to me, and I love Zoya Pixiedust so I've been anxiously awaiting these! 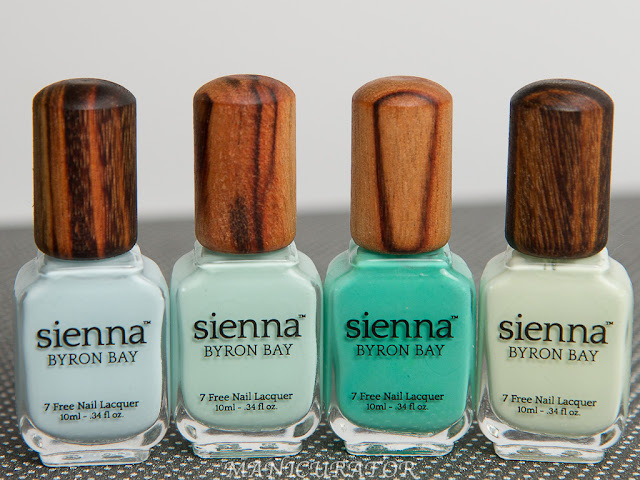 All swatches are without base or top coat as Zoya recommends. 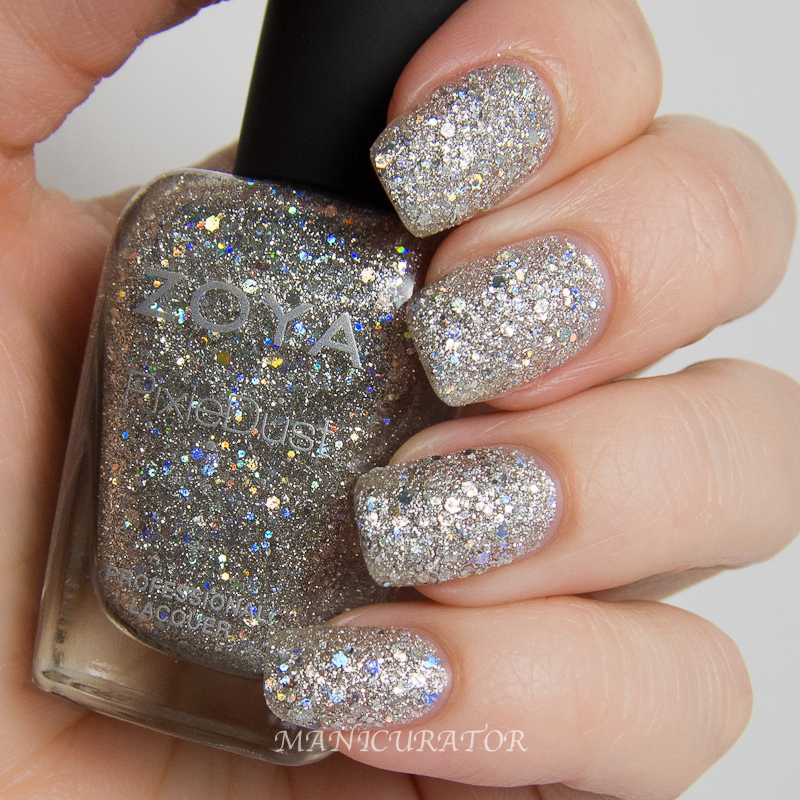 Zoya Cosmo - Silver Crystal Sparkle, Textured PixieDust with Mega Hex Iridescent Particles, Full Coverage Formula. All three of these have the same great formula and are full coverage in two coats (my swatches are 2 coats). As you can see, they ARE grittier and slightly rougher than regular Pixies given the larger glitters included in this collection. As usual, photos don't capture the amazingness that glitters are in person, let alone holo glitters. So expect these to be glitter bombs in real life! They are more textured and chunkier than PixieDust so if you are on the fence about textures you may not be able to deal with it. I love these and will wear all three for sure!! I'd have a hard time naming a favorite from this trio! Zoya Vega - Blue Opal Sparkle, Textured PixieDust with Mega Hex Iridescent Particles, Full Coverage Formula. Ah my favorite shade of blue! Light, with a hint of aqua. Such a pretty color. 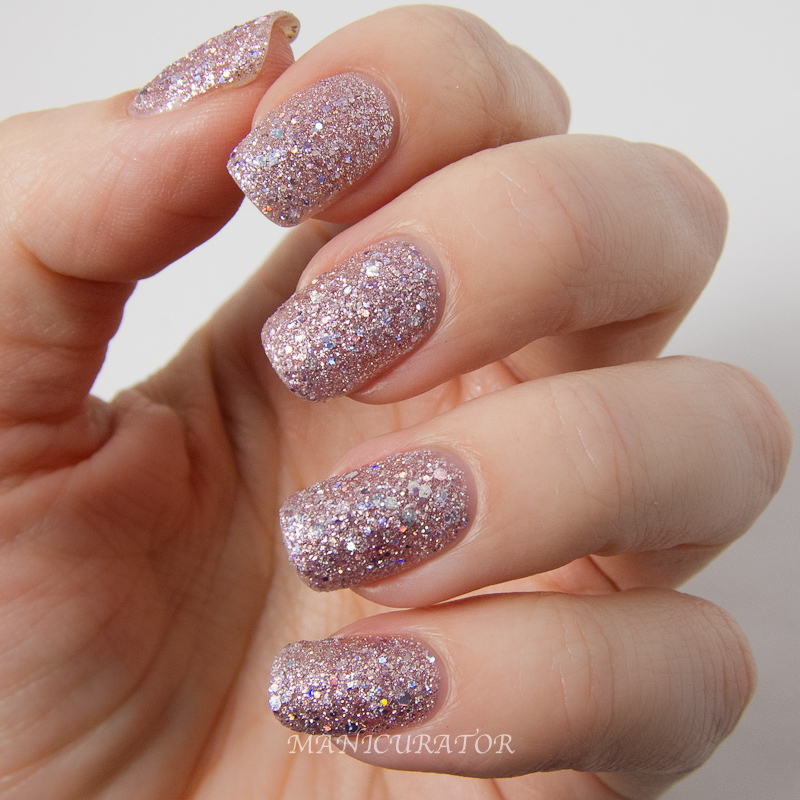 Zoya Lux - Rose Quartz Sparkle Textured PixieDust with Mega Hex Iridescent Particles, Full Coverage Formula. As much as I love each shade, this one, Lux is the one I chose to keep on. It's so so sweet. The combination of this rosy pink and crazy sparkles brings out my inner girl! I know I'm going overboard here..but I just couldn't help myself! 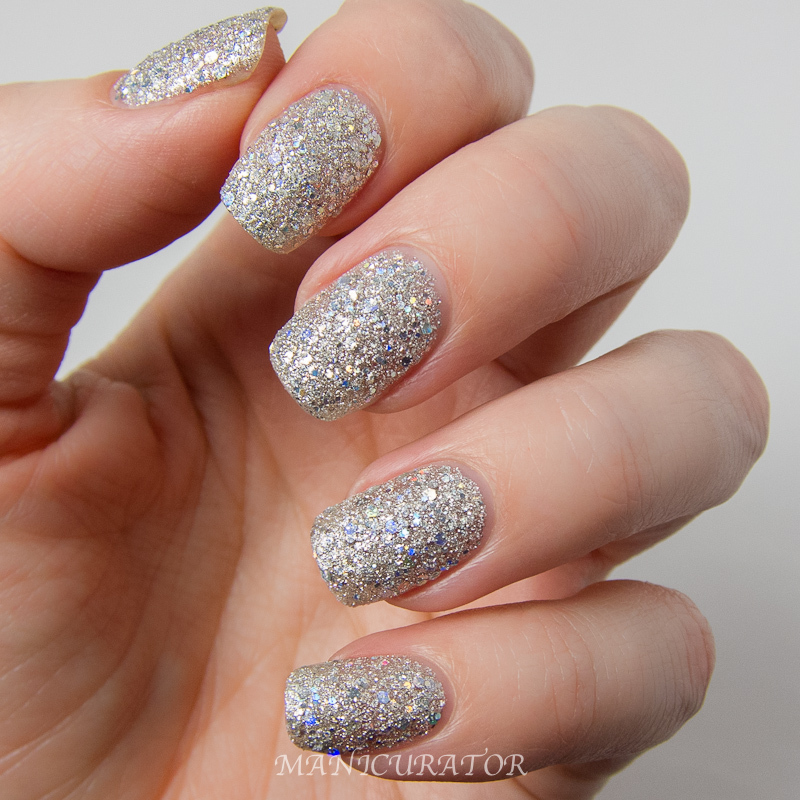 These are so so sparkly that I had a hard time photographing them, and the light reflected back onto my skin. I just wanted to be sure you were getting a good representation of these before you spend! 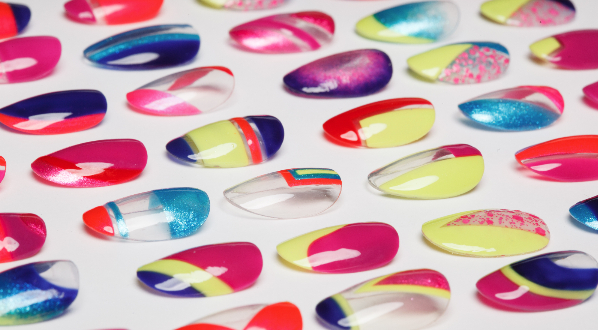 The swatches on the nail wheel are also 2 coats with no base or top coat. OK Phew! I'm done gushing. Do you have these on their way to you? I LOVE these so much! Your pics capture the sparkliness better than any I've seen so far. Thanks love! Hope you don't really stay away. I'll crack a nail, mmkay? Thanks so much! Can't wait to see yours Kat! I want these so bad! There so pretty! Putting these on right now! I love them!! I will never tire of seeing photos of these beauties! You showed them wonderfully! These are so beautifu! I love them ! your swatches are so much clearer than ones i've seen. i'm still not sold on these so maybe playing around w/ these myself will change my mind. I have to say you did get some of the best pics I've seen yet too, especially the ones on the wheel, the glitter shows so differently there, amazing job!! I myself am torn about these. If they were the original Pixie formula I'd be chomping at the bit to have them, they're such gorgeous colors! But Pixies are the ONLY textured polishes I like so I'm worried the extra texture might be too much for me. Do you think a coat or two of topcoat would dull down the texture enough for an original Pixie fanatic? 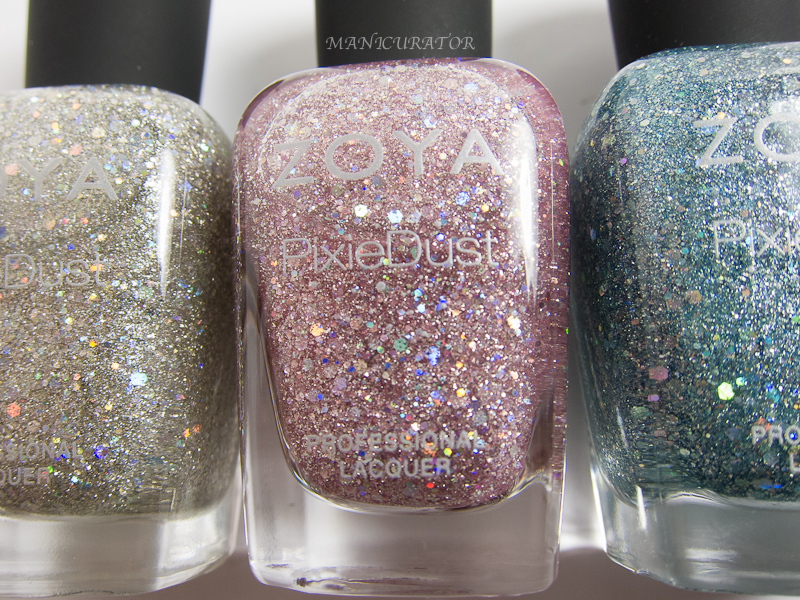 Also, I almost always use Pixies for designs on regular Zoya colors bc they're amazing for that, but do you think these glitters would pose a problem for things like striping and taping designs? Very curious about your opinion! These look beautiful on you! Hehe, hopefully this weekend...or tonight! Great swatches! THey look amazing on you! Oh My! Ok, Your swatches for the WIN! These are so gorgeous on you! I love this collection so dang much!!! Aw Lizzy <3 Thank you! Thank you! Yes, they are so so pretty! It's just perfection! If the texture doesn't bother you. Thanks love! Have you tried yet? i just got the chance to play w/ them last night. i like them a lot more than i thought they would. I haven't tried it myself yet, but I'm sure some others have posted about it. They are just too sparkly not to like, right? You have some of the most amazingly gorgeous nails I have ever seen! And the Zoyas look excellent! Thanks for sharing...I always looks for swatches before I buy Zoyas, since I find their advertised colors sometimes look very different when they're actually on.